Mensusa https://www.mensusa.com/articles/paletot-overcoat-the-classic-apparel-in-its-featured.html Paletot Overcoat- The Classic Apparel In Its Featured Double-Breasted Design The paletot overcoat gets differentiated from the other designs on overcoats, through its featured double-breasted design and peak lapels. 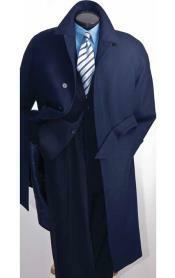 These overcoats are a fabulous choice of attiring for the formal as well as the prom occasions. Fashionable men love this overcoat for its elegant and high-fashioned look. An overcoat is a time-tested classic as men's apparel. These fashionable apparels uphold your masculinity in a style that you get to the notice of the world. The portfolio of the overcoats comes with an extensive variety, of which the paletot overcoat is truly a diligent number for a strong fashion statement that it displays. These overcoats are truly classic in its appearance and it upholds your mature and classy sense of dressing. A man appearing to the public dressed in the overcoats, will surely get considered as a fashion conscious and stylish man. How to identify the paletot overcoat? The paletot overcoat can be differentiated from the usual overcoats by the combination of the double-breasted design and peal styled lapels. Hence, the styling refers to the most conventional design of overcoats for men. The fabrication of these overcoats traditionally involved the heavy woolen fabrics. However, the contemporary styling will get you a similar overcoat, fabricated with lighter fabrics like cashmere. Yet another classic feature of the paletot overcoat is its length, that stretches just below the knees. These overcoats evolved to serve as the winter apparels and it had retained its relevance in men's fashion, surviving through various changing trends. Hence, the overcoats have turned to be a classic apparel for the fashionable men. The paletot overcoat can serve arrays of your dressing needs. First of all, it is a magical choice for the formal events, especially the ones hosted during the evening of the winter months. The varieties that are fabricated with lighter fabrics, will be a good choice for the morning occasions, including the routine business appearances. You can even try the apparel at the promenade occasion, wherein it will be a ravishing choice. Hence, it will be justified to say that these overcoats can serve arrays of your dressing needs. The paletot overcoat is available in the market with extensive diversification. You will be getting inexhaustible option on its design, style, length, color as well as the fabric used in its fabrication. Be assured that these overcoats will get you a smart, sharp and elegant appearance that will enable you to attract the attention and focus of the crowd revolving around you. As a fashionable men of today's time, you should inevitably have these overcoats in your wardrobe, if you truly desire to win the world with your appearance and look. www.mensusa.com supports the fashion pursuits of men by fetching them a rich portfolio of fashionable apparels and accessories at inexpensive prices. The store has won over the reliance of the buyers with its superlative customer services and customer- centric operating approaches.